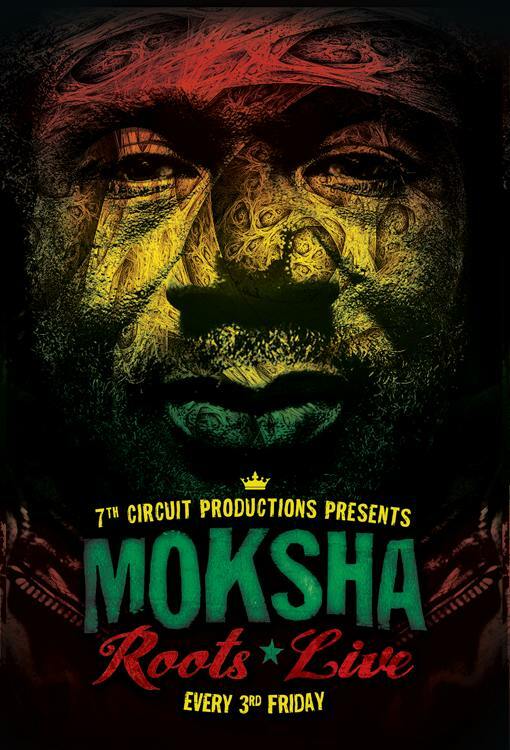 7th Circuit Productions and Moksha Family Arts Collective present Moksha Roots Live, the Official After-Party for The Rhythm Foundation’s Big Night in Little Haiti. 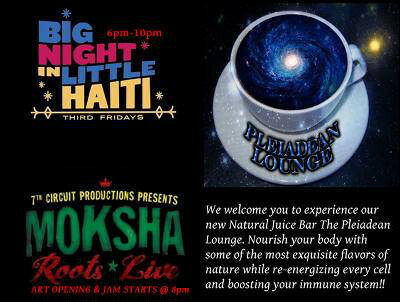 Come out and vibe with us, support the on-going monthly gallery opening, live music, d.j.s and drum jam that brings together the diverse cultural roots of Miami. Do your Xmas shopping with our boutique or one of our vendors and keep your money in the local art community. Doors open at 8pm free before 10pm. Danny Hearn From Drum Circle Miami! Welcome with FREE Admission until 11:00pm!